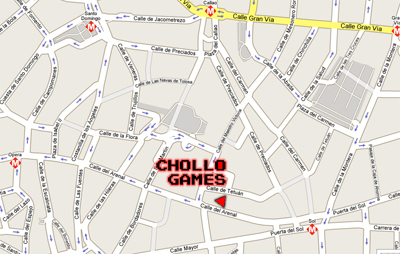 Chollo Games is located in the center of Madrid, on Calle Arenal Nº8, next to Puerta del Sol, on the First Floor of a mall called Centro Comercial Arenal, 8. 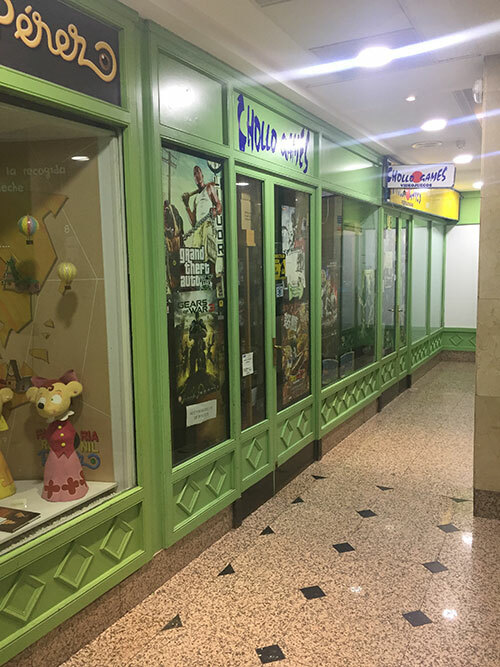 You can get to our store in Metro from the stations of Sol, Opera and Callao among others. You can also use lines C3 and C4 from Renfe Cercanías to Sol. And you can also use the multiple lines of the EMT that reach us. 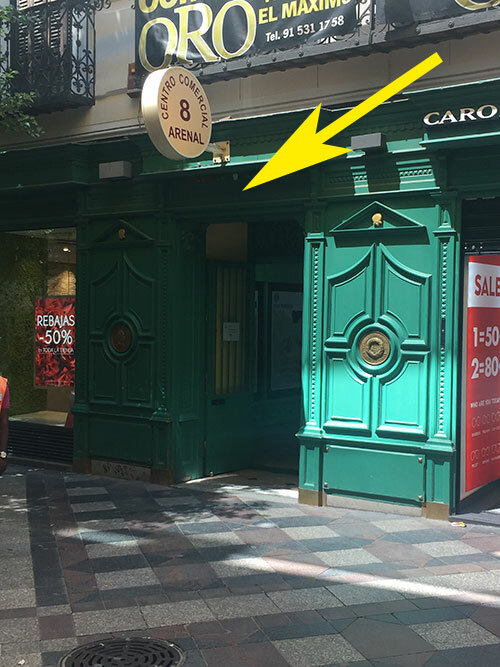 1.- Locate the number 8 of Calle Arenal, you will see that there is a circular sign on the portal. 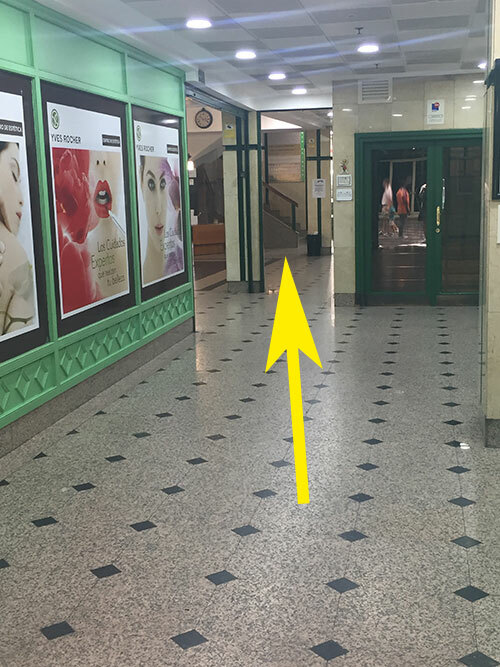 2.- Once in the portal, look towards the stairs at the far left. 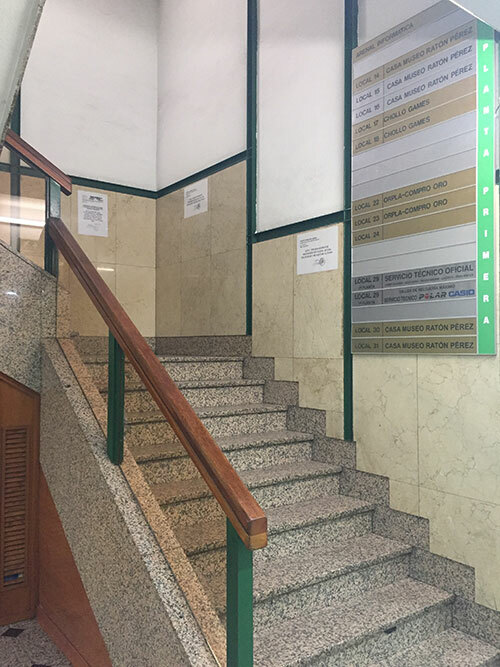 3.- Go up the stairs to the first floor. 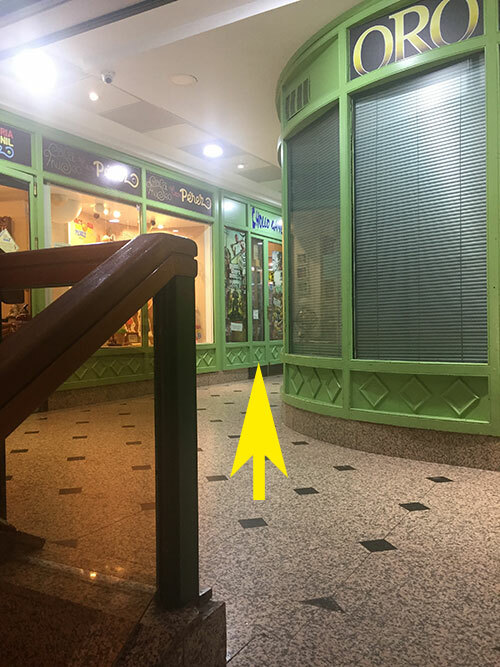 4.- Our store is located as you go up to the left. Next to the Perez Mouse Museum. We are open from Monday to Saturday from 11:00 a.m. to 2:00 p.m. in the morning and from 4:00 p.m. to 8:00 p.m. in the afternoon. If you want to see the store, click here.